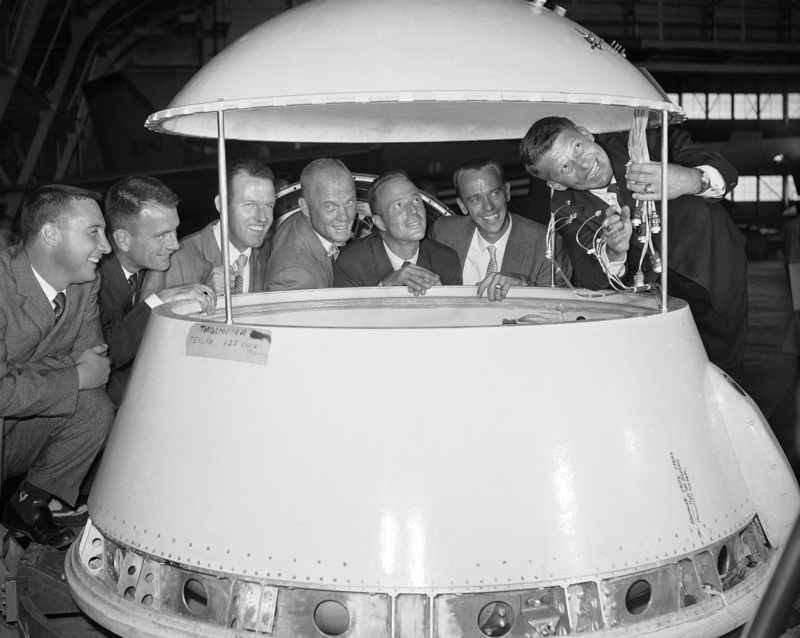 NASA’s image of the day today remembers the day 56 years ago today when seven men were identified who would get into a small can atop a bomb and try to go as far as they could just to see what would happen. Alan Shepard, Gus Grissom, John Glenn, Scott Carpenter, Wally Schirra, Gordon Cooper, Deke Slayton and John Glenn were the “Mercury 7,” the original NASA astronauts. With its familiarity, space is boring to many Americans today, which makes us wonder whether today’s commemoration can ever adequately be appreciated by future generations. As for the seven, only Glenn — the first American to orbit the earth — is still alive. He’ll be 94 in July. He had good looks, a political resume from the U.S. Senate, a military career, and was a national hero. And he still couldn’t beat Walter Mondale for the 1984 Democratic nomination to run for president.